I made this manly card for my adult nephew, and the sketch made it easy to do! I used black cardstock for the base card. Patterned papers are from DCWV Amber Autumn matstack. Caramel colored mat was embossed with Cuttlebug Distressed Stripes folder. Arrows were measured and cut with my paper cutter. I didn't have a cartridge with a beer mug so I made my own using Love You a Latte for the mug and my Fiskars cloud punch for the beer foam, which I trimmed up to look more realistic. 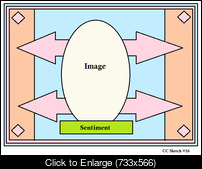 The ovals are cut from Art Philosophy. 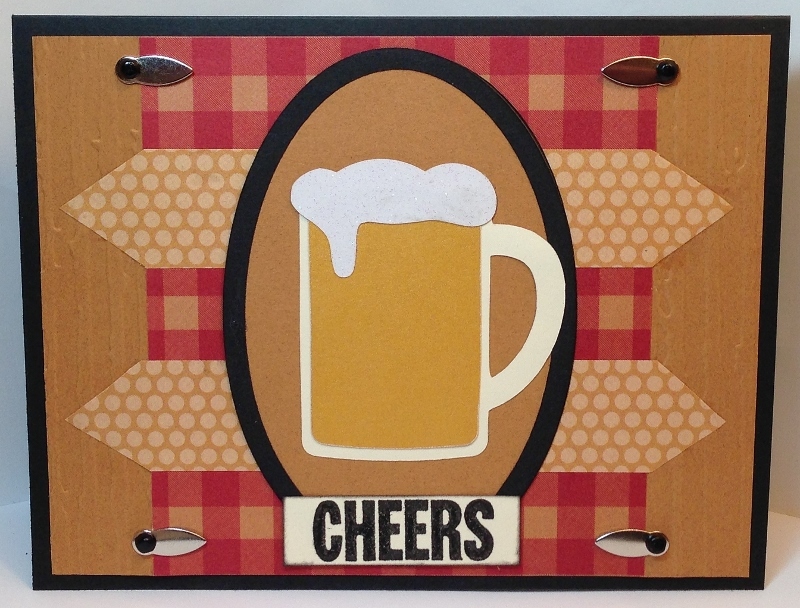 Cheers was stamped on cardstock and then trimmed to fit. I've had those metal embellishments in my stash forever and finally had a chance to use them with some little black brads. Follow the sketch shown above! 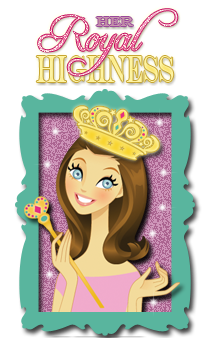 You'll have one week to enter your card, layout, or altered project. 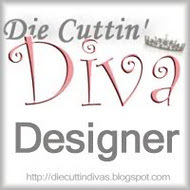 Remember that you must also use a die-cut somewhere in your project and be sure to link your post back to the DCD blog. Too cute, great man card!!! Super Cute & Cool! Awesome card! 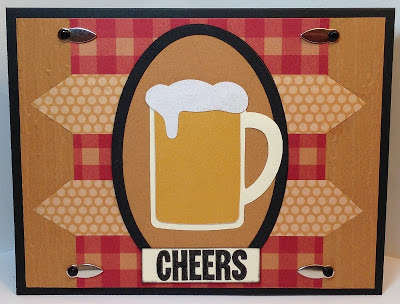 Great job making your mug and foam, great looking card. Your nephew will love it! A great male themed card! love your little holders on the corners. Cool card. Good idea to use the cloud punch for the foam! I wouldn't have thought to do that. Love the metal embellishments with the brads too. Great card Pat, I think your nephew wil like it!! What a cool die cut! Bet he loves it. Wicked card. Perfect for a masculine card!